Lars Kommienezuspadt is coming to Viva Las Vegas! If you are coming down for VIVA LAS VEGAS, do not miss your chance to be a part of this very special event by Lars Kommienezuspadt (@Kommienezuspadt)! 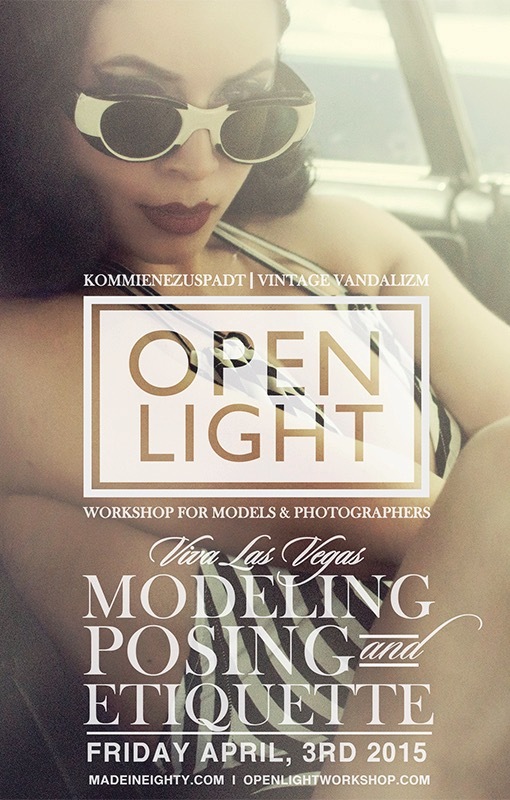 Friday, April 3rd I will be joining/co-hosting Lars K. for a Viva Las Vegas exclusive OPEN LIGHT: Modeling, Posing and Etiquette workshop. This is one workshop of many as Lars has held this particular workshop from NYC to LA with co-hosts such as Rivi Madison, Chad Moon and Jim Gavenus. All of which were a complete success and great learning experience for his students! The class is open to photographers, models, make-up artists and hair stylists. In addition to dynamic positioning and camera interaction from both model and photographer, we’ll be discussing professionalism, personal safety, responsibility and etiquette within the fashion and beauty industry. Register now with a deposit or in full by visiting MadeInEighty.com. Lars has shot me a few times and each time has been an experience I’d never forget. He is incredibly talented in so many areas and his creativity shines within his work. Every time we shoot together I can pretty much guarantee that my images are going to look amazing and I feel really fortunate to have shot with him (he’s hella booked all the time haha). For those of you who haven’t seen the last images I shot with Lars, check them out inside. Just keep in mind, they are a little risqué. 😉 You can buy some of these prints by clicking here. ← His Vintage Touch is coming to Las Vegas! Risque? More like totally hot and everyone in the world should see them!